Wilfrid Laurier University BBA convocation, 2016. I want to start by doing something that might almost guarantee that I never get invited back to do this…..ever again. …but I think our short time together would be more valuable if we just chatted alumni to alumni. Since I’m putting my neck on the line, I’d ask you to do the same and answer me honestly. Who’s feeling a little bit unsure of what’s next? Not all that long ago I sitting right down there — about where the ‘Gs’ are. And I was feeling a very similar mix of emotions. But here’s a little secret. Whatever you’re feeling today, and whatever you’re facing in the days ahead… you aren’t going to have to face it alone. Because as of today, you’re part of a community…a family that’s over 93,000 strong. That’s two Rogers Centers packed full of people who have your back. That are there to inspire you. To help you continue to grow professionally, and personally. When you walk across this stage you’re doing more than collecting a diploma. You’re solidifying a bond with the people here today and those who came before you. A bond that no one can break or take away. You’ll all experience that bond in your own unique way — just as you have the last four years. For some of you it will be when you come back to campus for homecoming, class reunions or other events planned for you by the Alumni Association that will keep you connected to the university and to each other. or the connection that can only be shared by two people who understand the pain and terror of the BU121 mid-term. As a symbol of that bond, today you’ll receive the Laurier leaf pin. Now I didn’t know this, but the pin has a special meaning. Just as a leaf is a microcosm of connectivity and support…with every vein contributing to the health of the whole — this pin is meant to symbolize the commitment to a common vision shared by Laurier faculty, staff, students and alumni alike. It’s important to remember that the symbols of your tremendous accomplishment you’re receiving today like this diploma or this pin, don’t mean you now have all the answers. Far from it. But that’s okay. It’s important to know that you WILL get lost along the way. We all do. I did. And that’s okay too. It’s okay because as a Laurier Alumni, help is never far away. From something as practical as a service like GradVantages that can help you find insurance for your first car to programs that will help you develop your career down the road. I’ll leave you with this final thought. Four years ago you showed up for O-Week with had a chance at a clean slate. To define yourself. Or perhaps to re-define yourself. Once again you have the opportunity to do the same. Only this time, you’re armed with 4-more years of experience and wisdom. With a better understanding of yourself, what you believe in, what you stand for. Now if you’re feeling like I did when I was sitting in your chair 9 years ago, you might be itching to go out tomorrow and put that diploma to work. To validate the last 4 years of hard work. But trust me…work isn’t going anywhere. There will always be time for work. Now I’m not saying move back in with mom and dad. What I’m saying is to take a moment to figure out what you believe in. Invest in your relationships and make time for your family. These are things that I wish someone had told me 9 years ago when I was sitting where you are. And when you find something you’re passionate about, throw yourself in it fully. 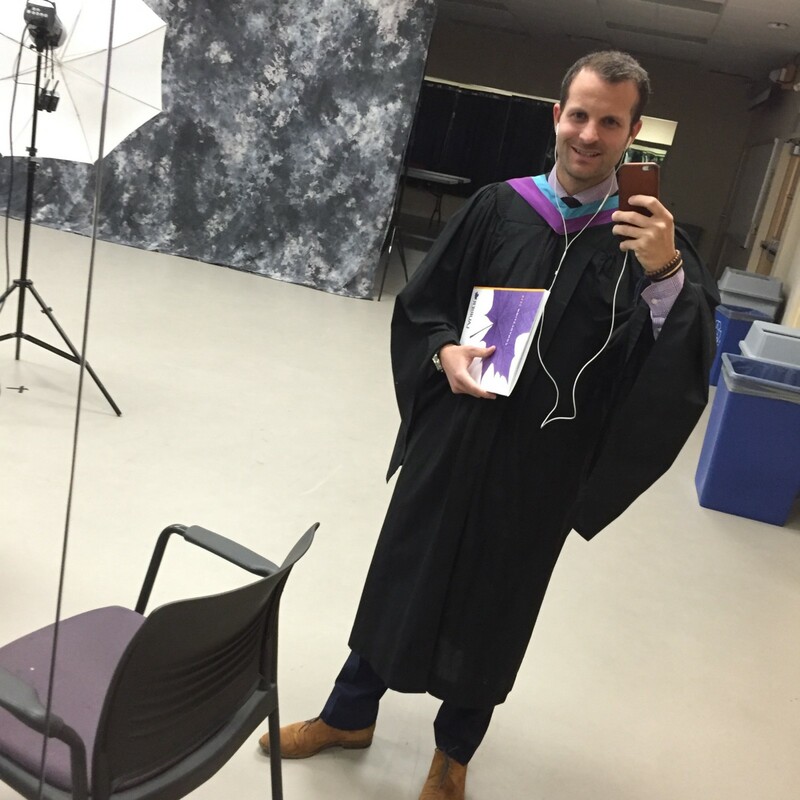 And with that, I say… congrats to you, Wilfrid Laurier University’s graduating class of 2016.